Appalachian Mountain landforms clearly demonstrate the relation of plate tectonics and structure to geomorphology. The folded rocks record the convergence of two continental plates in Pennsylvanian/Permian time. 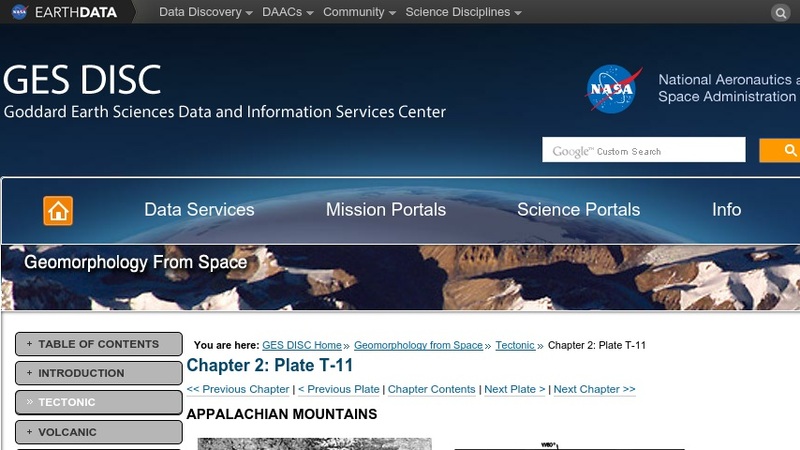 This page uses text, maps, and remotely sensed imagery to explain the relationship between plate tectonics, geologic structures, and the resulting landforms. It is part of an out-of-print NASA publication entitled 'Geomorphology from Space'. Links to the rest of the book are provided.